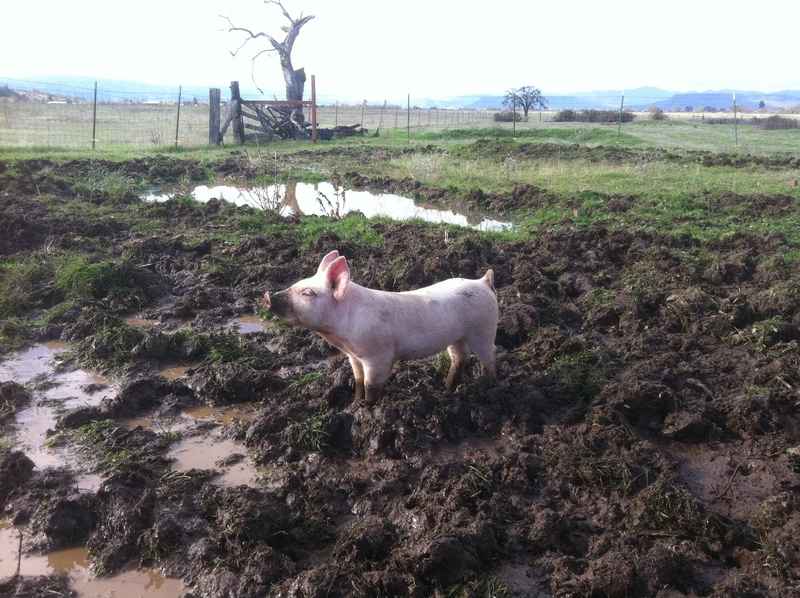 Scott just loves this picture of a proud, happy, baby pig sunning himself in the mud! Previous Post Look at the Size of that Egg! Poet, San Francisco City Girl turned Southern Oregon Country Girl, Trucker's Wife and Mom to Creative Kids. I write about Farm Life, Kids and their Art, Lifelong Learning, Living with Intention, and Finding Beauty in Unusual Places.